SEOUL, South Korea (AP) — A consortium led by Hyundai Motor Co. offered more than $10 billion for land in Seoul’s tony Gangnam district where it will build a new headquarters. The sky high price surprised shareholders who sent the automaker’s shares down nearly 10 percent. The land’s current owner, Korea Electric Power Corp., said Thursday the consortium of Hyundai Motor, its affiliate Kia Motors Corp. and auto parts maker Hyundai Mobis Co. outbid Samsung Electronics Co. in an auction for the 79,342 square meter (854,030 square foot) plot in the high-priced area. The land was valued at 3.3 trillion won by two private appraisers, according to Kepco. Hyundai defended the 10.55 trillion won ($10.1 billion) purchase as a step that would burnish its brand and allow better control of its business empire by grouping top managers of all its 30 affiliate companies in one location. Hyundai’s share price dived 9 percent. 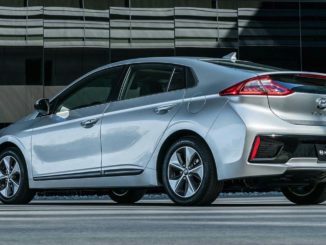 Kia and Hyundai Mobis both fell 8 percent. Hyundai Motor said it will build a super tall tower named “Global Business Center” for its group headquarters. It has 18,000 employees in Seoul but its current headquarters in southern Gangnam can accommodate just 5,000 people. 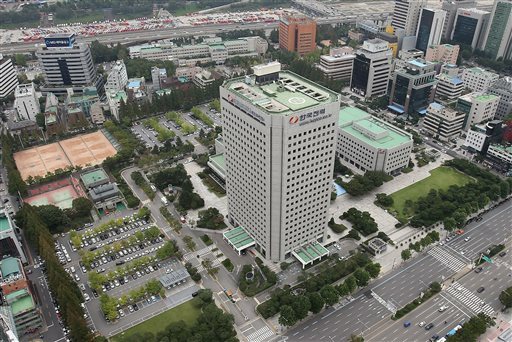 The new headquarters “is crucial for Hyundai Motor Group to make a leap forward in the global market by improving brand values of Hyundai and Kia,” it said in a statement. The Gangnam district is famous in Seoul and also known overseas as the subject of rapper PSY’s “Gangnam Style” music video that poked fun at the area’s affluent and trendy residents. Hyundai has not decided how tall its headquarters tower will be but said it will be the highest in the area. The 55-story World Trade Center Seoul is across the road from the land and the 123-story Lotte World Tower is under construction about 3 kilometers to its east. South Korea’s largest automaker said it will also build auto-themed exhibition halls, hotels and shopping malls, citing Autostadt, Volkswagen’s automobile-themed attraction in Wolfsburg, Germany as a model. Samsung Electronics declined to say how much it bid.